Asian-based Kiwi Earl Bamber is relishing the chance to race against compatriot Craig Baird at the Porsche Rennsport Festival at Sydney Motorsport Park this weekend. Bamber will team-up with Stephen Grove in round three of the Australian Carrera Cup Championship with the meeting breaking from tradition by running two one-hour shared driver races. 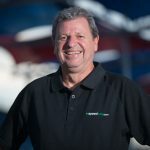 Baird, renowned as being the most successful Porsche Cup driver in the world, has accrued more than 125 one-make Porsche victories in his celebrated career. Bamber will fly to Sydney from Kuala Lumpur where he is based for his campaign in the Asian Carrera Cup Championship which he currently leads. The youngster claimed the lead at the Zhuhai meeting earlier this month before gaining a surprise call up to the signature Rennsport meeting. The development has brought forward the time when Bamber will run in one-make machinery against the incomparable Baird, regarded as a master of the global one-make category. “I was looking forward to racing Bairdo at the Singapore GP but obviously that’s now going to come a bit earlier to see how I go against him,” Bamber told Speedcafe. Round 10 of the Asian Carrera Cup is scheduled to run on the undercard at the F1 Grand Prix meeting at the Singapore Grand Prix from September 20-22. Bamber is no stranger to the Sydney circuit formerly known as Eastern Creek, having previous experience in Australian F3 and the World Time Attack meeting. The 22-year-old Bamber (Craft Nexus Racing) is pleasantly surprised to be at the top of the Asian standings on 92 points, four clear of Martin Ragginger. 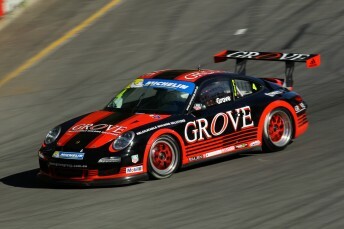 “So far the Asian Carrera Cup has been very good,” Bamber said. “We just made it to the grid in the 11th hour so our plan was to start off slow and aim for a top three throughout the year and if we could win a race by the end of the season then it would be fantastic. “Fortunately that win has come a little bit earlier than expected. We have got to keep the ball rolling and see if we can continue it in Ordos in inner Mongolia from July 5-7. Bamber is stoked at receiving the chance to showcase his talent at the Rennsport meeting that also includes GT3 Cup Challenge, Group S & Group N Historics, Sports Cars, Porsche demonstrations, Concours and Show N Shine events. “I just can’t reiterate enough my appreciate for Stephen (Grove) for giving me this opportunity in his car. “The Rennsport meeting will be one of the biggest meetings of the year and I’m honoured to be part of it.